Welcome to our live blog from the College Station City Council’s workshop and regular meetings on Monday, March 5. It’s not the official minutes. The workshop has started. Councilwoman Linda Harvell is absent. No action was taken out of executive session. The council discussed whether the city’s three large well-field properties have potential to be used as mitigation banks, which could help keep water rates low. Certain properties with stream segments or wetlands can be used as mitigation banks that offer credits to offset impacts from projects that disturb the same aspects elsewhere. Alan Plummer and Associates recently performed an environmental study to determine what uplift is possible. The ultimate goal is to issue a request for proposal (RFP) to existing mitigation bankers, who will offer proposals to pay the city for using its properties as mitigation banks. If the city elects to move forward, then the banker must gain approval from the U.S. Army Corps of Engineers. Last week, the information was presented to the local U.S. Army Corps of Engineers office and other related state regulatory agencies to get their comments. The council accepted the city’s annual audit reports and Comprehensive Annual Financial Report (CAFR) for the fiscal year that ended Sept. 30. The council voted unanimously to allocate additional hotel tax funds for the construction two new synthetic fields at Veterans Park and Athletic Complex. City Traffic Engineer Troy Rother was cited for being named Engineer of the Year by the Brazos Chapter of the Texas Society of Professional Engineers. Councilman James Benham recognized Army 1st Lt. Simon T. Cox Jr. as part of the Fallen Heroes Memorial program. The 30-year-old Wheeler native died Feb. 6, 2006 when an improvised explosive device detonated near his M2A3 Bradley in Taji, Iraq. A $124,325.24 purchase order for a Hurst eDraulic cutter, ram, spreader and related emergency services equipment from Municipal Emergency Services through the HGAC Purchasing Cooperative. 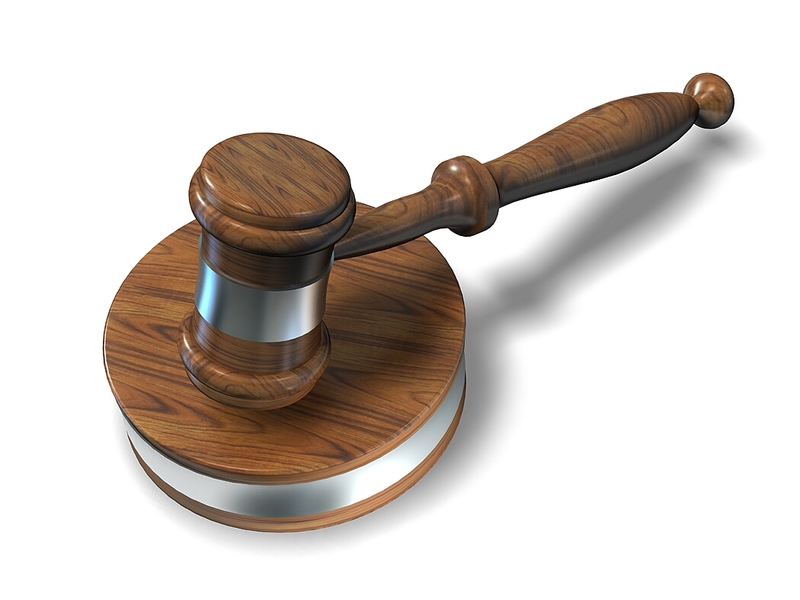 A $213,657 contract with Weisinger, Inc., to replace the pump assembly and motor for Well No. 7. Temporarily changed the posted speed limit on Harvey Mitchell Parkway (FM 2818) between Mile Post 10.242 to Mile Post 11.642 from 60 to 50 mph until the Texas Department of Transportation completes the Raymond Stotzer Parkway (FM 60) Overpass Improvement Project. A new Rate Review Mechanism (RRM) tariff to govern future rate filings by Atmos Mid-Tex. After a public hearing, the council voted unanimously to approve a request to change the zoning from Rural to General Commercial for about 4½ acres at 11990 Old Wellborn Rd. The change will allow for commercial development. The council voted unanimously to approve Katherine Cabrera to Design Review Board. Mayor Mooney adjourned the meeting. The council meets again on Thursday, March 22. Welcome to our live blog from the College Station City Council’s workshop and regular meetings on Monday, May 16. It’s not the official minutes. University Drive Pedestrian Safety Improvements: The resolution would allow the mayor to sign an advance funding agreement with the Texas Department of Transportation for cost participation in the University Drive Pedestrian Improvements Project, which will begin at near Lodge and extend through College Avenue. The project will improve pedestrian mobility and safety while balancing acceptable levels of traffic. Water Service Area Swap: The objective is to clean up the official boundary lines of the water service area to allow the city and Wellborn Special Utility District to serve where they are best positioned and make the water system more efficient. The changes affect four locations and have been endorsed by the WSUD board. Fitch-Victoria Traffic Signal: The project will include new traffic and pedestrian crossing signals at the intersection of Fitch Parkway and Victoria Avenue along with associated pavement markings and sidewalks. The signal is expected to be operating by the fall. Munson Avenue Construction Contract: The Munson Avenue Rehabilitation Project will rehabilitate Munson Avenue from Lincoln Avenue to Dominic Drive. The improvements will include new concrete pavement, the rehabilitation of water and wastewater lines and the installation of a section of underground duct bank for future electrical utilities. The council discussed city Internal Auditor Ty Elliott’s audit of the Bryan-College Station Convention and Visitor’s Bureau, which receives most of the city’s hotel occupancy tax revenue. Elliott said the CVB’s accounting procedures and controls have improved since the last audit in 2011 but added that the CVB also has a relatively large amount of liquid assets. In addition, certain cost analysis methods may be able to aid the CVB in better understanding project returns. According to Elliott, the CVB’s direct impact on bringing events to the College Station and Bryan area has not significantly changed since 2011, with the most impact being on sports events. The CVB’s expenditures have also increased since 2011, especially on marketing and personnel. Elliott said employee turnover at the CVB appears to be high and that some of CVB’s strategic goals seem disconnected from its mission. He added that the Destination Marketing Association International calculator could be a useful tool for internal CVB decision making, but policymakers should be skeptical of using the calculator to provide justification for funding requests. The council was updated on the design status of a new police facility at the southeast corner of the Dartmouth Street-Krenek Tap Road intersection. The consensus of the council was to move forward with the size estimate of 79,000 square feet and to modify the Krenek Tap Overlay to better accommodate construction. Upon the recommendation of staff, the council decided not to house Fire Department administrators in the building. Mayor Nancy Berry proclaimed this as National Public Works Week with a presentation to several employees of the city’s Public Works Department. The week is designed to recognize the contributions public works officials make every day to our health, safety, comfort, and quality of life. Pictured below with Mayor Nancy Berry are Senior Traffic Engineer Troy Rother, Assistant Director of Public Works Emily Fisher, Street/Drainage/Irrigation Superintendent Marshall Wallace, and Crew Leader Jason Best. Mayor Berry proclaimed May as National Bike Month with a presentation to members of the city’s Bicycle, Pedestrian and Greenways Advisory Board. Sponsored by the League of American Bicyclists, National Bike Month promotes bicycling as a healthy activity that helps the environment. Pictured with Mayor Berry below are Councilwoman Blanche Brick, Greenways Program Manager Venessa Garza, and Bicycle, Pedestrian and Greenways board members Tina Evans and Brandon Boatcallie. The Arts Council of Brazos Valley and Brazos Valley Art League, through the generous support of the Astin Winkler Charitable Trust, award multiple scholarships each year to promising young artists in the Brazos Valley. The College Art Scholarship is open to graduating seniors in Brazos, Burleson, Grimes, Leon, Madison, Robertson, or Washington counties who will attend an accredited college or university with a course of study in the arts, culture or heritage fields. This year’s scholarship recipients are Ester Araujo and Bryson Bounds from A&M Consolidated High School, and Mitchell Bradford of College Station High School. Pictured below with these excellent students are their families, members of the College Station City Council and representatives of the Arts Council Brazos Valley. Representing that class tonight were Kacey Corbett, Jailene Lopez and Hailey Phillips, who are pictured below with members of the College Station City Council, representatives of the Rotary, Lions and Kiwanis clubs who are spearheading the private fundraising, Parks and Recreation Department employees, and project supporters. One person spoke during Hear Visitors when citizens may address the council on any item that doesn’t appear on the posted agenda. Ben Roper recognized Army Pfc. James D. Parker as part of the Fallen Heroes Memorial program. The 20-year-old Bryan native died Jan. 21, 2004 in a mortar attack near Ba’qubah, Iraq. Members of the Parker family were present for the recognition. A resolution allowing the mayor to sign an advance funding agreement with the Texas Department of Transportation for the city’s cost participation in the University Drive Pedestrian Improvements Project. Changes to the water service area boundaries between the city and the Wellborn Special Utilities District. A change order reducing the Graham Road Rehabilitation Project contract with Elliott Construction by $96,826. A contract not-to-exceed $150,000 with Crossroads Asphalt Preservation for the surface sealing of city streets. A $182,645.29 contract with Jamail & Smith Construction for facility corrective maintenance services. Contract pricing is available through an interlocal cooperative purchasing agreement with Buyboard. A $66,895.25 contract with Binkley & Barfield for professional engineering services related to the design of traffic signal and intersection improvements at the intersections of Harvey Road at George Bush Drive East and Harvey Mitchell Parkway at Longmire Drive. A $265,597.50 contract with Larry Young Paving for sidewalk improvements along Langford Street. A $680,335.37 contract with Brazos Paving for a new traffic signal at the intersection of Fitch Parkway and Victoria Avenue. A $2.45 million contract with Elliott Construction for the Munson Avenue Rehabilitation Project. A lease with the Brazos Valley Solid Waste Management Agency for the use of the Twin Oaks Law Enforcement Training Facility by the Police Department. A $250,694 contract with Layne Christensen Company to repair the pumps in Wells 6 and 8. A utility agreement with the Brazos County Municipal Utility District No. 1 board addressing the provision of water and sewer service to the district. The appointment of the Aggieland Humane Society’s executive director as the local rabies control authority. After a public hearing, the council voted 6-0 to approve a request to change the zoning from Rural to Planned Development District for about 26 acres between Wellborn Road and Royder Road near Greens Prairie Road West. The change will allow the development of clustered single-family residences. After a public hearing, the council voted 6-0 to approve a request to change the zoning from Light Industrial and Heavy Industrial to Suburban Commercial for a 1/2-acre at 150 Graham Rd. The change will allow the development of a daycare facility and retail/office space. After a public hearing, the council voted 6-0 to approve a strategic partnership agreement with Brazos County Municipal Utility District (MUD) No. 1 that outlines the terms and conditions for annexing the area. The city council created the district in 2014 for the Texas World Speedway property. Easement Abandonment at 105 Holik St.
After a public hearing, the council voted 6-0 to abandon a public utility easement at 105 Holik St. to accommodate a building expansion on CSISD property. After a public hearing, the council voted 6-0 to approve an ordinance removing parking on both sides of Jane Street and Eisenhower Street between University Drive and Cooner Street. The change was made to allow emergency vehicle access to the proposed Embassy Suites development. After a public hearing, the council voted 6-0 to approve an ordinance removing parking on part of Boyett Street to allow fire department access to the proposed Northgate Park Apartments development. The council voted 6-0 to authorize the issuance of up to $30.5 million in Certificates of Obligation (Series 2016) to provide resources for streets, police station design and initial project costs, information technology, electric and water improvements, and debt issuance costs. This debt issue will not affect property tax rate or utility rates. The council voted 6-0 to authorize the issuance and sale of up to $56 million in General Obligation Improvement and Refunding Bonds (Series 2016) to achieve savings due to lower interest rates. The refunding is estimated to reduce the overall cost of the bonds by at least 12.618304 percent over their remaining life, saving at least $3.96 million. The savings will help the city by providing an additional margin council may choose to use for projects not currently funded. The refunding will not impact the property tax rate. The mayor adjourned the meeting. The council meets again on Thursday, May 26. This is a live blog from the College Station City Council’s workshop and regular meetings on Thursday, March 26. It’s not the official minutes. The workshop has started. Councilman Karl Mooney is absent tonight. The College Station City Council is spending it at city hall, where it will gather Thursday for its workshop (6 p.m.) and regular (7 p.m.) meetings. What could possibly be more romantic than that? 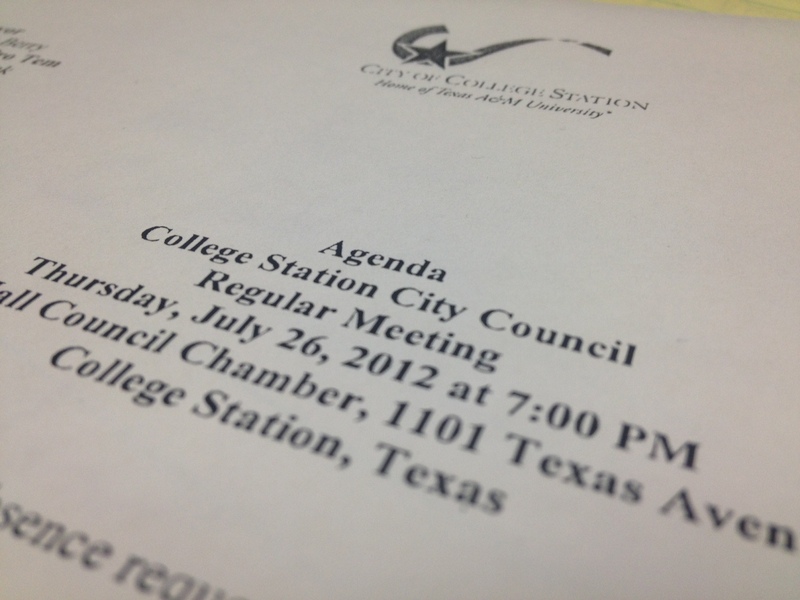 This is a live blog from the College Station City Council’s workshop and regular meetings on Thursday, July 26. It’s not the official minutes. The workshop meeting has started. Council member Jess Fields is absent. The council heard an update on the first phase of the Economic Development Master Plan, which is being prepared as part of the city’s Comprehensive Plan. The first phase focuses on demographics, socioeconomic data, a preliminary assessment of market conditions, and preliminary identification of opportunities and challenges in the local market. Here’s a quick look at some of the items the College Station City Council will be discussing at its workshop and regular meetings on Thursday, July 26. This blog is not the complete and official agenda. The council will receive an update on the first phase of the Economic Development Master Plan, which is being prepared as part of the city’s Comprehensive Plan. The first phase focuses on demographics and socio-economic data, a preliminary assessment of specific market conditions, and preliminary identification of opportunities and challenges in the local market.